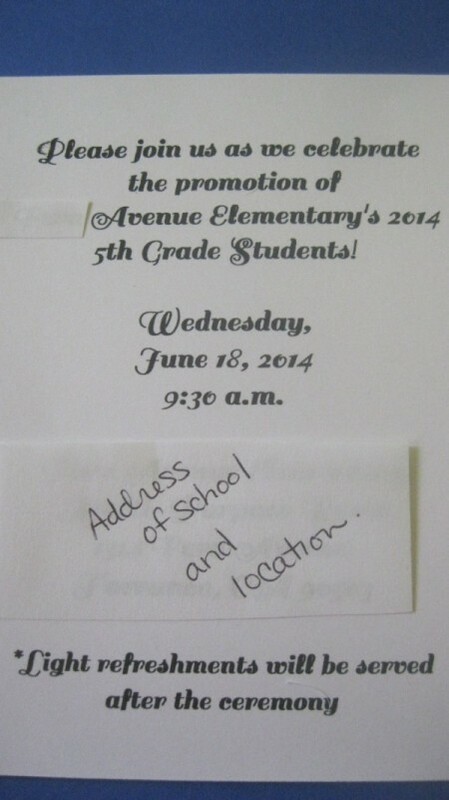 Last year, I was given the task to send out 90 invitations for the 5th grade graduation ceremony. I was working with a $50 budget. After searching high and low, I realized that I would not be able to stay within budget if I ordered the cards, with the time I had. So, I made these up. I was able to make 90 invitations for about $30! It required more effort than just ordering them, but they were a big hit. The kids made me thank you notes and a lot of the pictures had the little diplomas and caps. It's something unique that they still talk about. Total Time: About 20 minutes. It goes faster when you are making multiples. Yield: As many as you need. 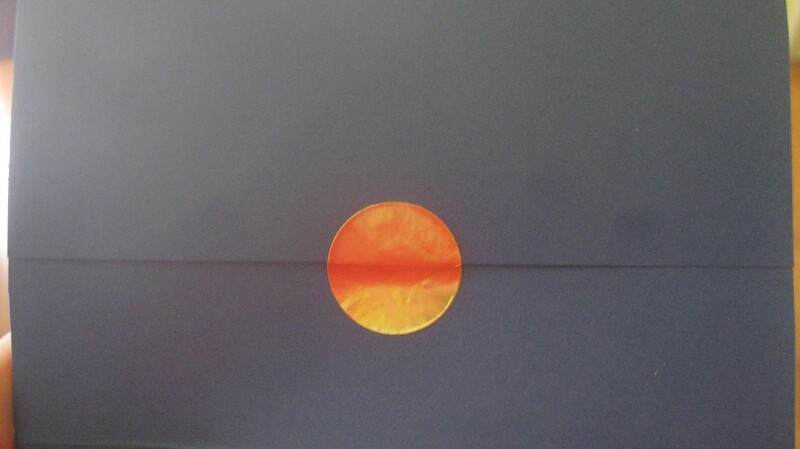 12 in by 12 inch cardstock. 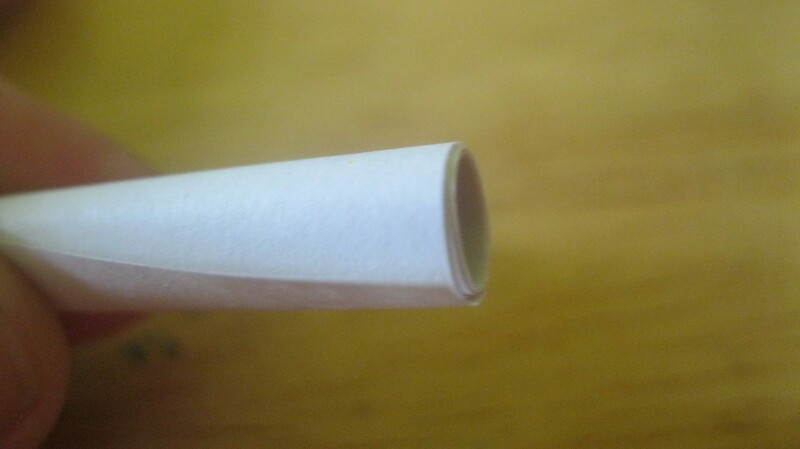 Pick paper that has color on both sides. Use school colors or any color you like! Cut your 12 X 12 inch cardstock in half. I used the school's paper cutter and it went pretty quickly. 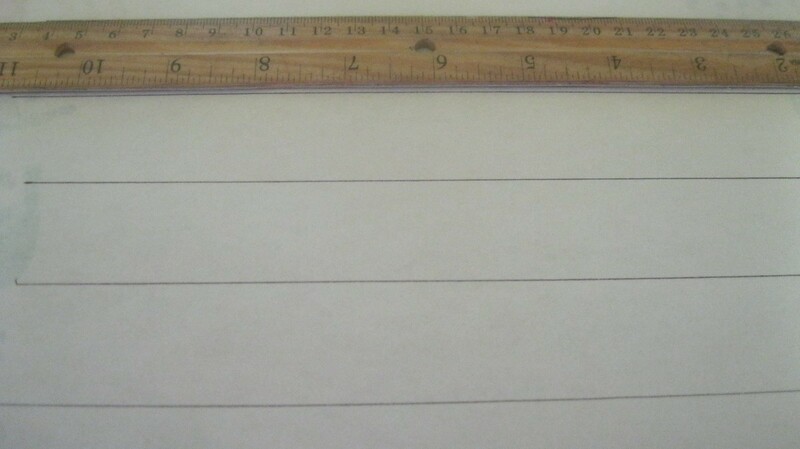 If you don't have access to one, use your trusty ruler and pencil to mark off the paper. 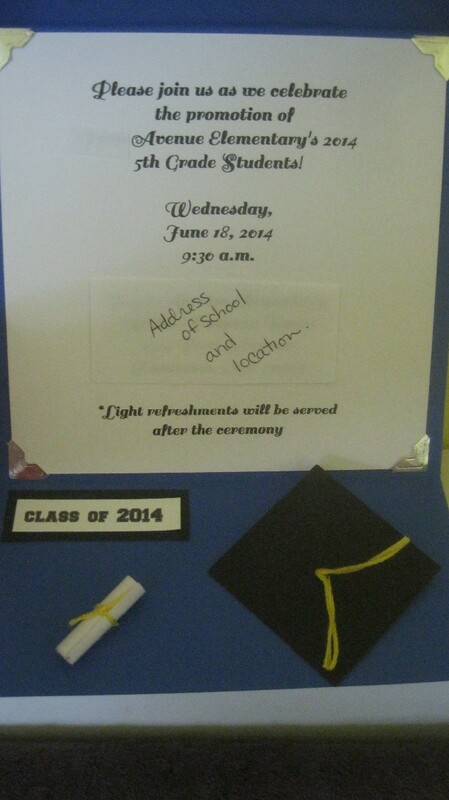 Print out your invitation or announcement. (I blocked off our school name). Cut the invitation. This ended up being 5 1/2 x 5 1/2 inches. 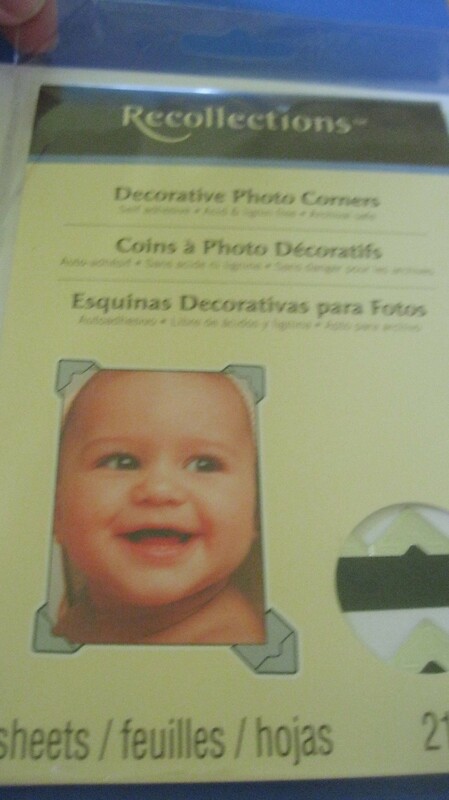 Time to add the photo corners. It's easiest to slide them on before adhering to the cardstock. Once you have them on, carefully place it in the middle of the large cardstock, making sure it's even before you set it down. 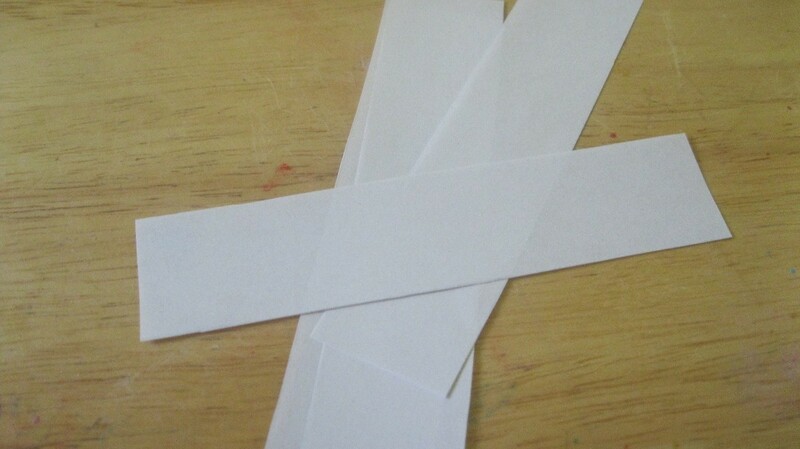 For the diplomas, use your paper cutter or ruler to mark off strips of white paper. These were 4 1/2 inches long and a little over 1 inch wide. 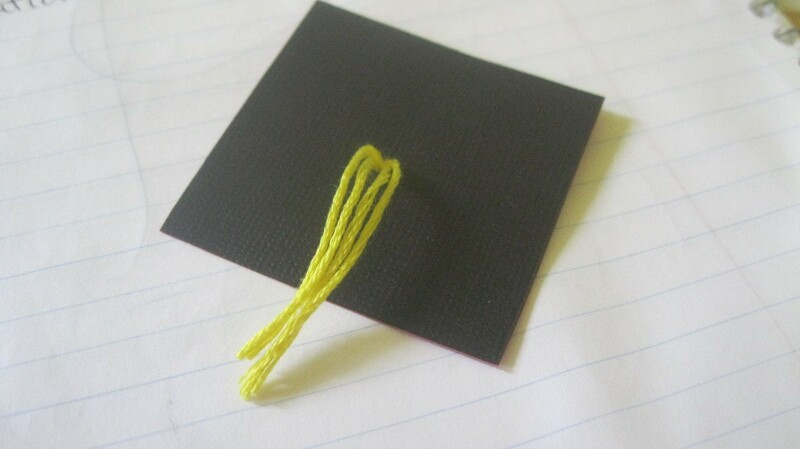 Before rolling up the diploma, cut a piece of embroidery thread that you will tie around the paper. 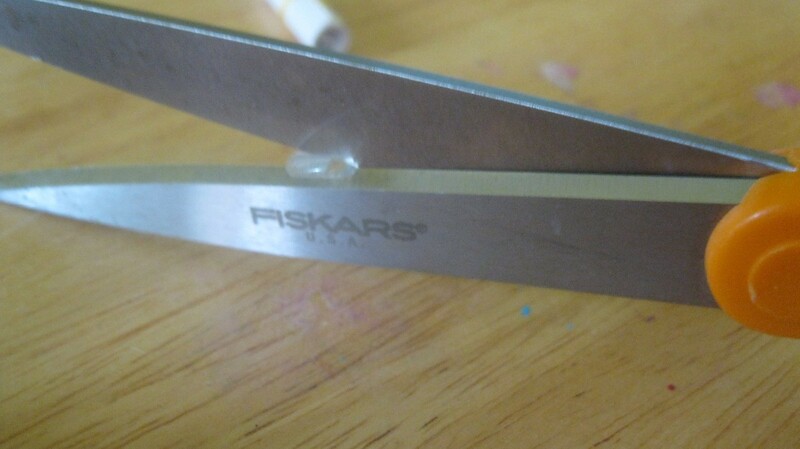 I cut mine about 3 inches long. It's easiest to get the thread in a circle, ready to slide the diploma in. Otherwise, you are trying to hold the diploma shut and tying the thread. 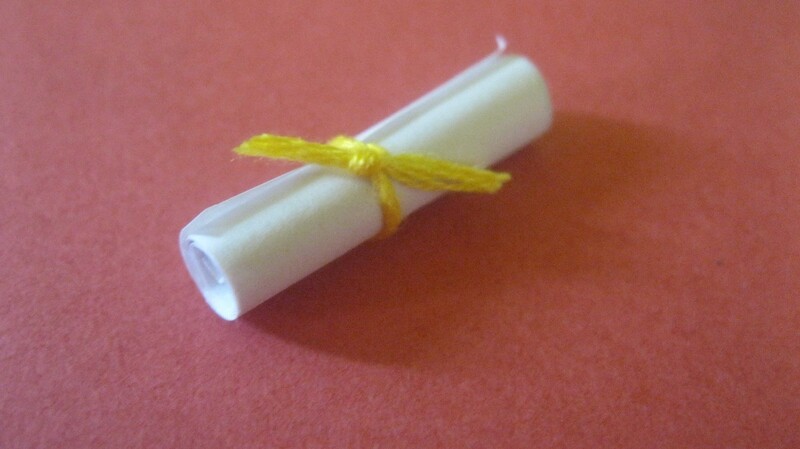 Once you have your thread ready, roll up the diploma as tightly as you can (you don't want it too thick because it will be inside the invitation). Tie on the thread and knot it. Cut the extra ends. 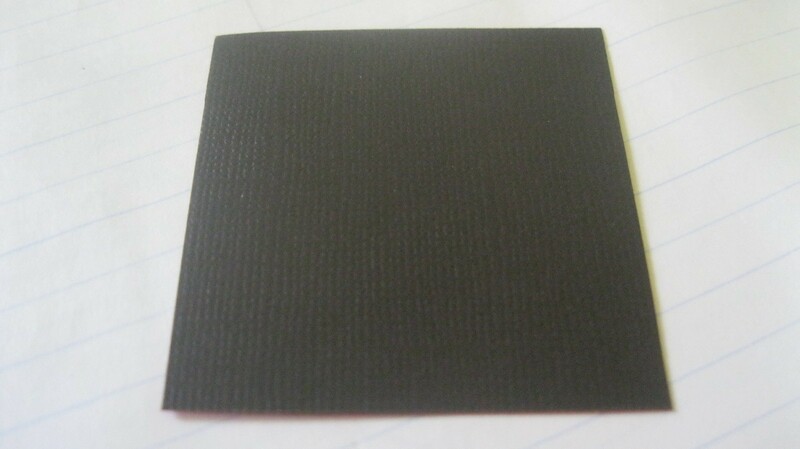 For the graduation cap, cut a piece of black cardstock paper 2 x 2 inches. 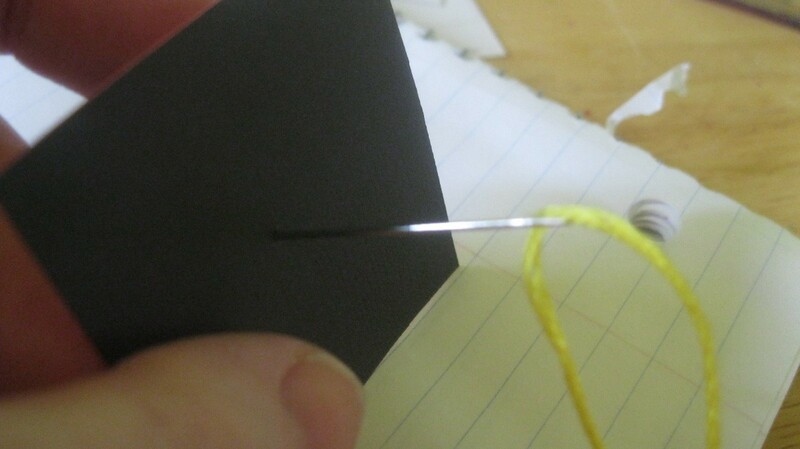 Thread your embroidery thread onto the needle. Pierce the needle through the front of the cap, in the center. Pull through. 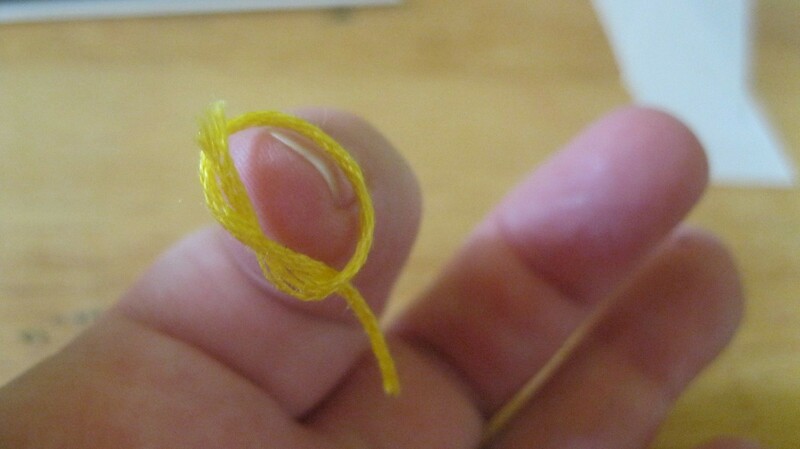 Cut the thread off of the needle. Tape down. (In case you are wondering, this paper is black on one side and red on the other!) 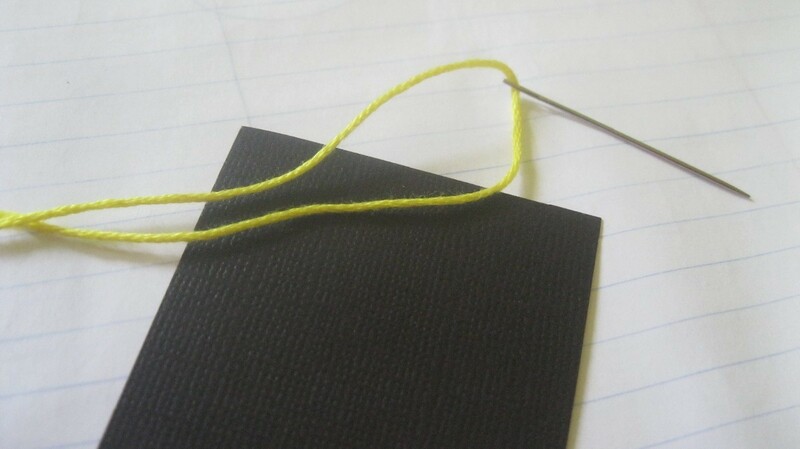 Trim the "tassle" on the other side to the length you like. 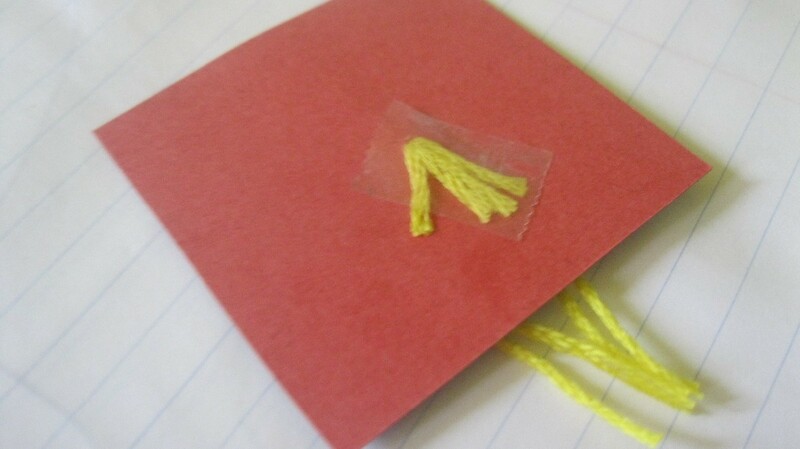 Create a little sign that says "Class of ____ " on plain paper. Cut it out and paste on black cardstock. 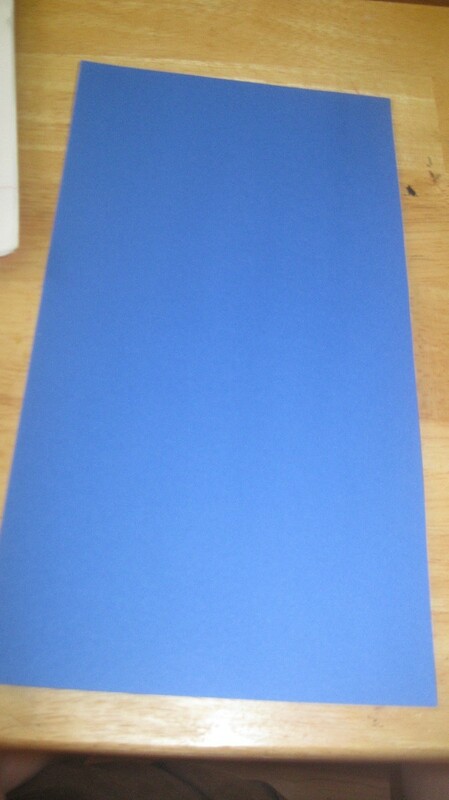 This cardstock was 2 1/2 inches by 3/4 inch. Time to add your embellishments onto the invitation. 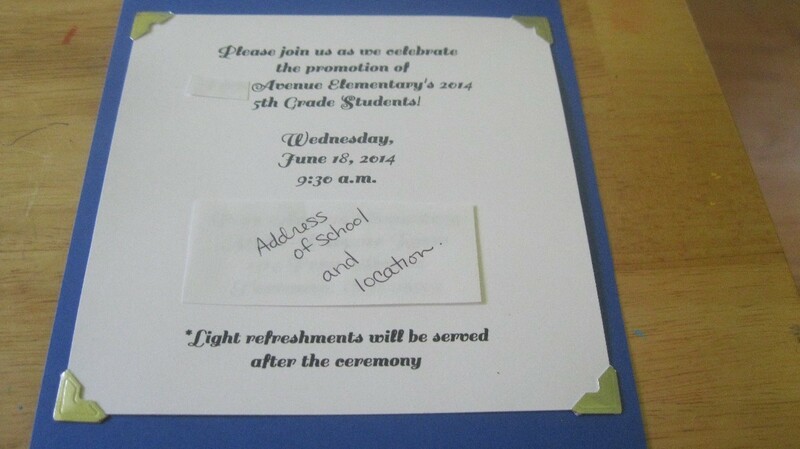 Glue the "Class of ____" sign on the invitation. 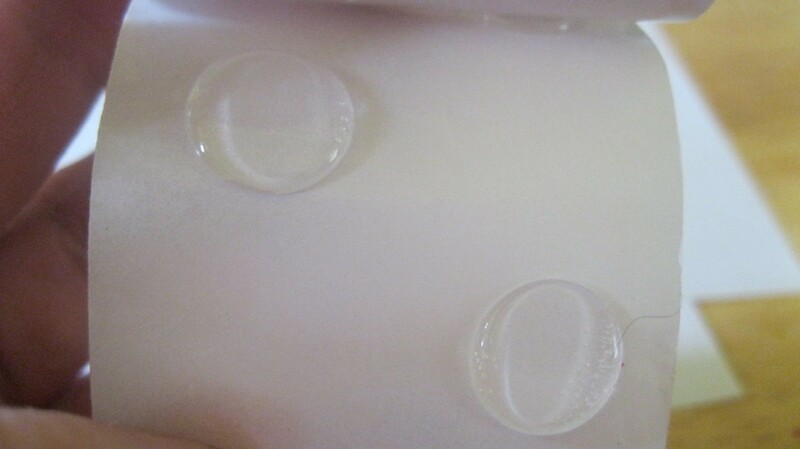 To stick the diploma and caps on, I used ZOTs, glue dots. I cut them in quarters, since they were a little large and I didn't want them sticking out from under the diploma. 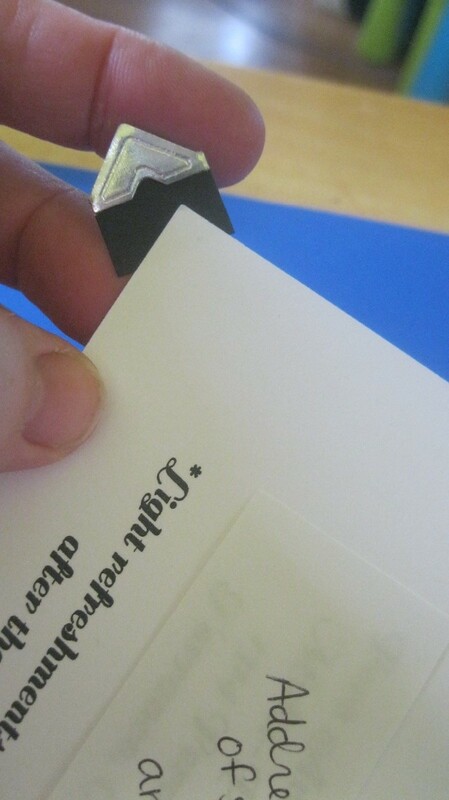 Fold your invitation at the top and the bottom of the announcement. There should be a small overlap. Place your seal on the back to keep it closed. Add a label on the front, if needed. Thankfully, these were just given to each student and I didn't need labels!